It's not always easy for me to find earrings. I am always on the lookout for unique statement pieces but I have to make sure they aren't too big, chunky or overpowering for my petite ears. 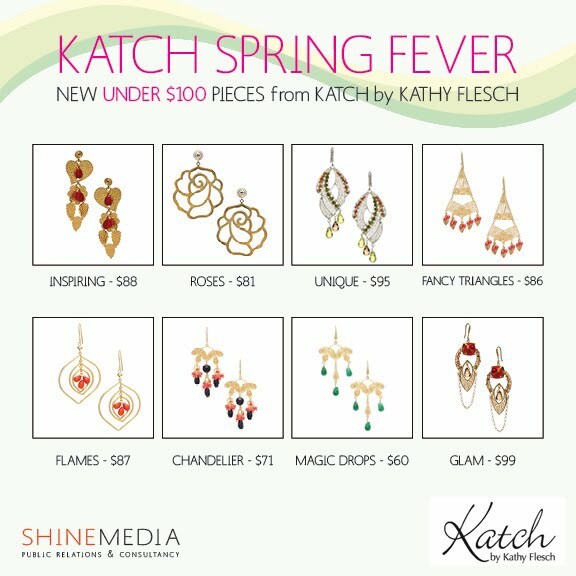 Check out these featured earrings from Katch by Kathy Flesch for under $100 at katchcollection.com! The earrings are divided into three collections - Desire, Glitz and Treasure. You can shop all of the Katch by Kathy Flesch earrings here.